While existing city trees already clean and cool the air for more than 50 million people, a global investment of $100 million per year in tree planting and maintenance could provide as many as 77 million people with cooler cities and offer 68 million people measurable reductions in fine particulate matter pollution. 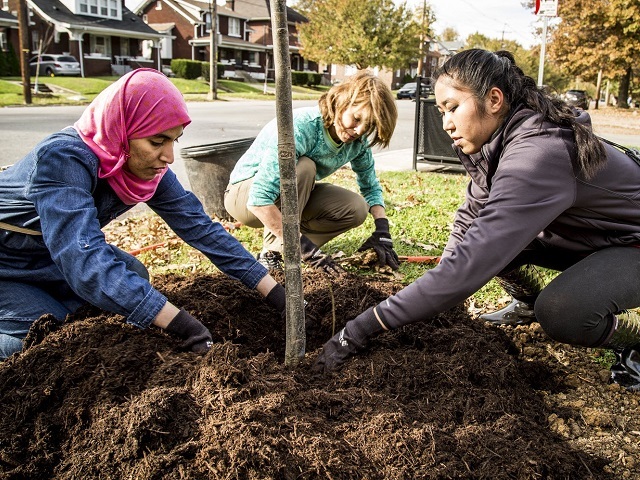 New city trees offer great potential impact, but maintaining existing city trees is critical, as many global cities are losing tree cover over time, due to development, pests and pathogens, and lack of budget for maintenance. The Planting Healthy Air report and the accompanying website, with an interactive map and case studies for the report’s top ranked cities, provide resources for those interested in using nature to make air healthier. 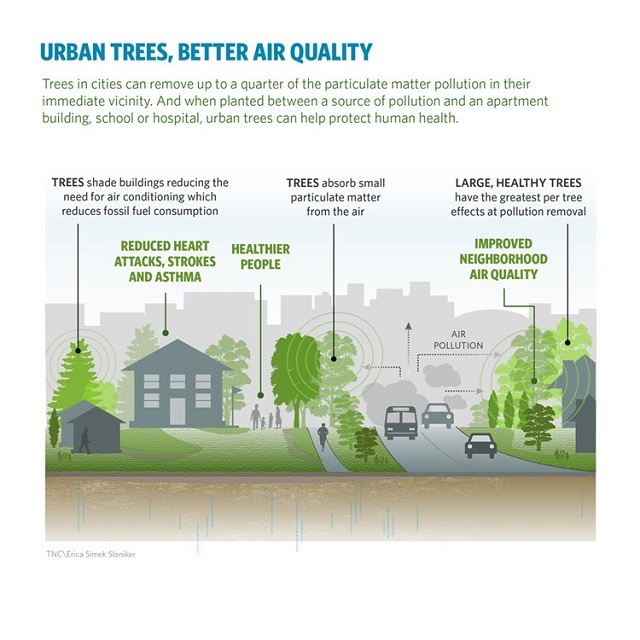 These findings can help urban leaders and public health officials address outstanding issues about trees and air quality, such as which cities and which neighborhoods can be helped most, the fraction of the air quality problem can trees solve, how much investment is needed, and where are trees a cost-effective investment. In many cities, an individual neighborhood may offer a much higher return on investment (ROI) than the city’s average, and the report’s maps can be a useful tool for city leaders deciding where to make an investment in city trees. For those searching for ways to address the challenges of air quality and heat, urban trees are the only solution to simultaneously address both. Trees also provide a range of co-benefits, including wildlife habitat, flood control, carbon sequestration, and recreational opportunity, which can have significant value for a city. 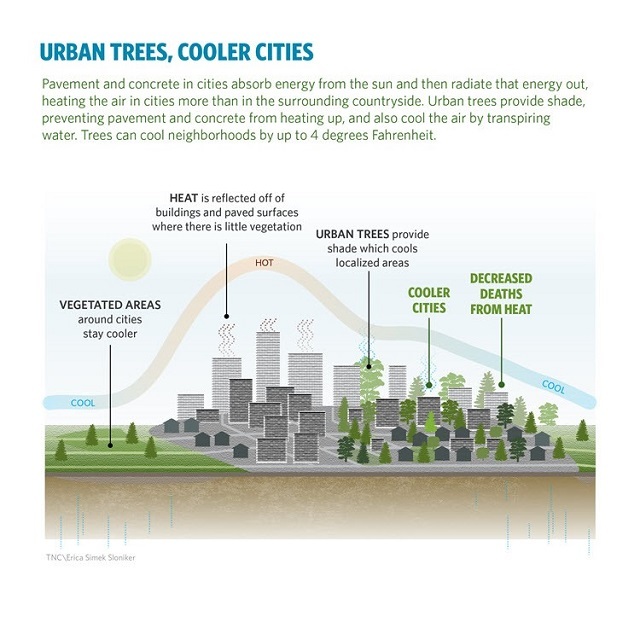 While urban trees alone can’t solve the challenges of urban heat and air pollution, they’re a solution that can be put in place today and are comparable in cost and effectiveness in many neighborhoods to such solutions as limiting automobile traffic in cites, painting roofs white or installing scrubbers on smokestacks. In the right spot, trees can help make our air healthier and our cities more verdant and livable. Visit nature.org/healthyair to learn more and explore the interactive map.